The pool is heated! The water temperature is usually about 27 degrees C.
There are hot showers and individual changing rooms plus a big sun terrace and picnic benches. Ice creams, snacks and hot drinks are available to buy and sun loungers are available to rent. Weekly swimming and diving courses for children in term-time with intensive swimming courses during the school holidays. Adult stamina swimming courses three evenings a week. Private lessons are available for adults and children. Disabled facilities: entrance ramp, shallow steps and purpose-built shower, changing and toilet facility. Please ring ahead to let us know what you require. School swimming lessons ton weekday mornings during term time. OUR PADDLING POOL IS CURRENTLY CLOSED AND UNTIL WE HAVE SUFFICIENT FUNDS WILL NOT RE-OPEN UNTIL FURTHER NOTICE. Please help us fundraise on our JustGiving page. * Opening times change in Hampshire County Council school holidays. Check out our online calendar for the most up to date information. Who funds & runs the pool? 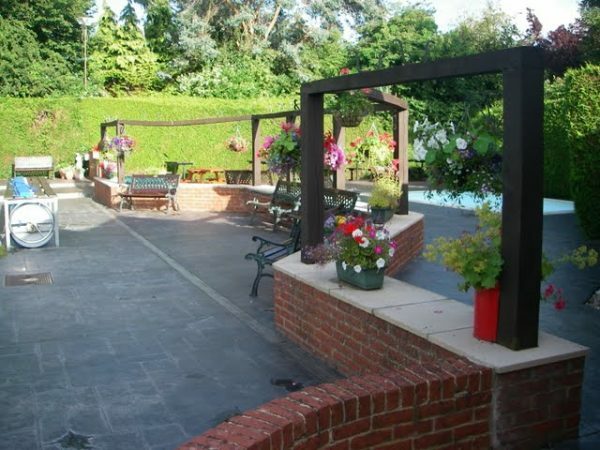 The pool is run as a charitable business by a committee of eleven Trustees. Ticket sales and a small annual start up grant from Petersfield Town Council covers daily operational costs. Refurbishment and development is reliant on donations, fundraising and a wonderful pool of volunteers – come and join them! Fundraising events take place throughout the season such as: Night Swims, Synchronised Swimming shows, Cake Sales, Swimming Galas, Wine Tasting evenings… These are advertised locally, on the pool website and on our Facebook page so stay in touch to find out what’s on. Why not join our 200 club which awards lottery prizes monthly? The pool is an RLSS approved site for Lifeguard Training, staff regularly carry out lifeguard training and courses are offered to the public.How can you support the Pool? Bake (and buy!) cakes; come to special events; join the Supporters Club; help us clear leaves in the winter (etc! ), do a sponsored run, bike ride or just swim as often as you can – and bring your friends! And please donate whatever and whenever you can through MyDonate (at the bottom of page). The Pool needs the support of our local community to survive. Petersfield Open Air Swimming Pool is a Charity (Registered number 301917) held in trust for the people of Petersfield. 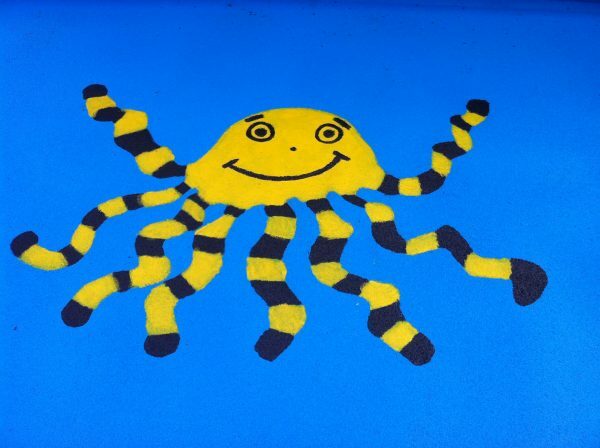 We open from Spring until Autumn and you’ll find that we are the best and friendliest pool in the South of England. Come on down for a swim or snack and enjoy the waters! In the late 1950s, a group of people set about providing a swimming pool for the youth of Petersfield; a clean and safe alternative to the Heath pond, where some youngsters used to swim in fine weather. 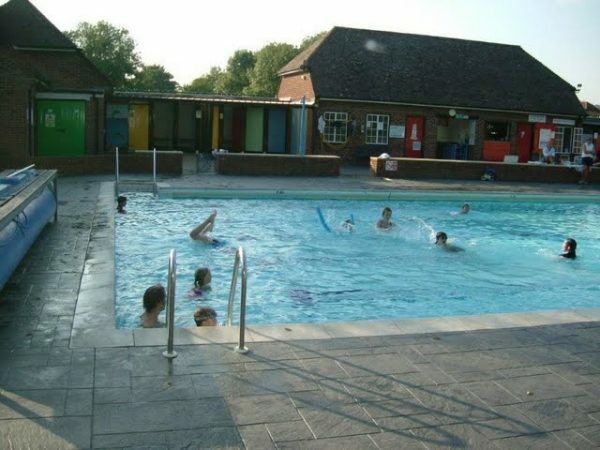 Funds were raised by the people of Petersfield and the surrounding areas which were boosted by a significant grant from the Department of Education as the pool would be ‘educating and training’ young people. Finally in May 1962 after much fundraising, the pool was opened by Sir David Eccles, Minister for Education at a cost of £13,000. Out of this emphasis on youth and learning to swim came the swimming club, which is still in operation today, meeting on Tuesday evenings. It encourages children of all ages to take part in coaching, training, fitness and use of the diving board and always welcomes new members. Since those early days the pool has maintained local support and through fundraising by its many supporters and volunteers has been able to keep improving its facilities and has opened year on year. 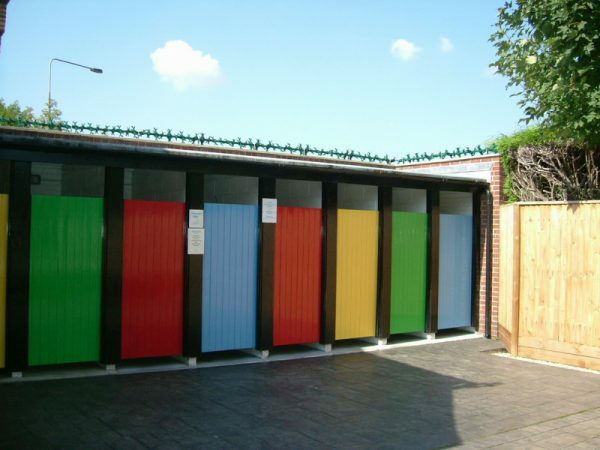 It now has excellent disabled facilities, hot showers, refurbished and lit changing rooms, a relined paddling pool, sun loungers, picnic tables, benches and a covered area in case of rain. Some things at the pool have not changed. The immaculate cleanliness of the pool and its surrounds is kept up by Deborah Mitchell, the Manager, and her team, as are the high standards of life guarding and behaviour. The old-fashioned turnstile is still there, as are the brightly coloured changing room doors. Green hedges and fences still surround the pool providing a secluded, tranquil setting in the heart of the town. In fact, the pool, with its personal and friendly atmosphere has managed to retain an intimacy, which sets it apart from today’s large, faceless leisure centres.